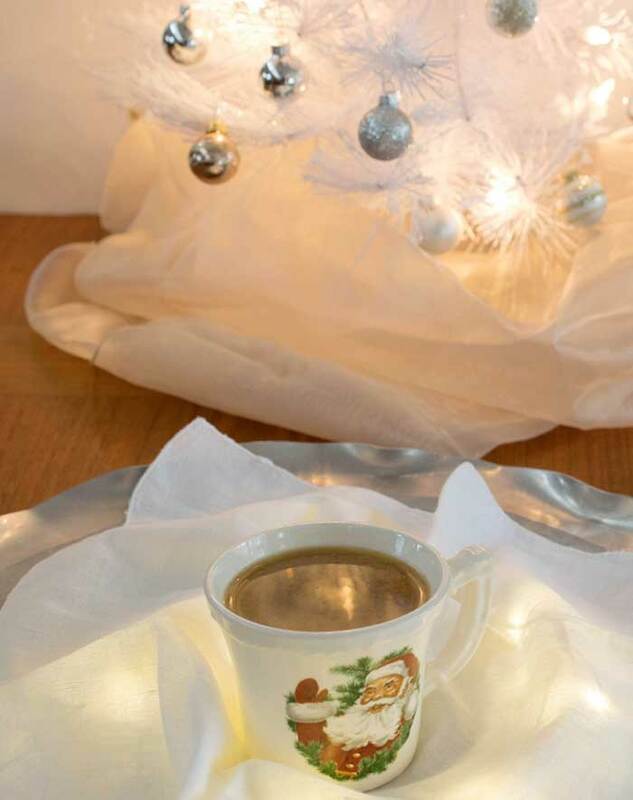 This holiday coffee has the spiciness of gingerbread with just a hint of molasses. It’s a perfect way to warm up while you are cozy on the couch or after a walk in the snow. I still make this with cold brewed coffee and you can get the super simple how to make it here. Cold brewed coffee is less acidic and much easier on your stomach. Plus, once you make the concentrate it can stay in the fridge all week. It’s perfect for a quick iced coffee and easy to heat up for a hot coffee too. I make my cold brewed coffee concentrate in a French Press. You can buy more expensive options if you want to, but they aren’t necessary. In fact, if you don’t have a French Press you can use a Mason jar and a fine mesh strainer or nut milk bag. If you are a hot coffee brewer, then go ahead and use double the amount of regular brewed coffee. Cold brew is usually double strength. Sweetener to taste: brown sugar stevia, agave nectar, or maple syrup, etc. Put everything but sweetener in the slow cooker. Add molasses. Whisk until ingredients are well combined. Taste and add your choice of sweetener until it's the way you like your latte. Cook for 3 hours on low or 1 1⁄2 to 2 hours on high. You are just heating it, so you could also do this on the stove top if you are in a hurry. I like to put drinks on in a slow cooker before a dinner party and then it's piping hot and ready to serve with dessert. I will be drinking my coffee 3 hours later than usual just so I can make this incredible sounding drink. As you know, I no longer drink coffeeshop lattes, but I miss the days of a warm cup of fru-fru coffee drinks. Thanks for bringing back the small joy those drinks add to my life. Not only are you, Kathy Hester, recipe creator extraordinaire, but you are also Kathy Hester, renewer of joy. I’m a sucker for 1) So Delicious products, and 2) Gingerbread lattes. This is a great, simple recipe! PS: I think you might have me convinced to cold brew coffee. I need to triple the recipe just to get my FIRST cup for the day!!!! LOL!! I luv luv LUV gingerbread! This makes in me serious need of another slow cooker. I only have one and it’s in almost constant use…particularly this time of year! I also follow So Delicious on Twitter. I also Like Healthy Slow Cooking on Facebook. Happy National Coffee Day Kathy! Thank you for the wonderful review and giveaway, and of course, the delectable recipe! Your culinary creativity never ceases to amaze and inspire us! This looks wonderful. What a great recipe to kick off the fall season. We have several coffee drinkers in this house, and I think your recipe would be a hit! Thanks for the giveaway. I love coffee so I am definitely celebrating today! I’ve never had a gingerbread latte, but I think that’s about to change. This sounds like a lovely recipe, I think I’ll give it a shot tomorrow morning (sans creamer though – I’ve never seen it in store). Sounds great! Can’t wait to try it! “Liked” Healthy Slow Cooking on facebook! Fingers crossed, thanks for the giveaway! So Delicious is just that: SO DELICIOUS! 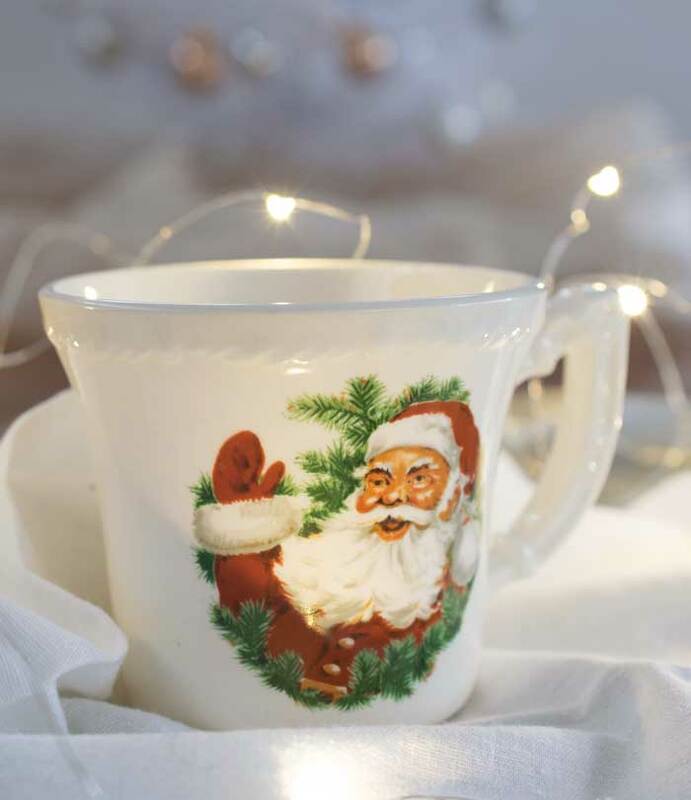 I love this creamer, and would LOVE to win! I like So Delicious on Facebook, too! id love to win. thanks! So delicious makes a creamer? I did not know. Must try. My kids are dairy free due to food allergies. We love So Delicious! I like So Delicious on FB! I liked So Delicious on FB! I liked healthy slow cooking on fb! The contest is closed and the winner will be announced shortly! There will be more giveaways this month on both my blogs, so stay tuned! Love love love! 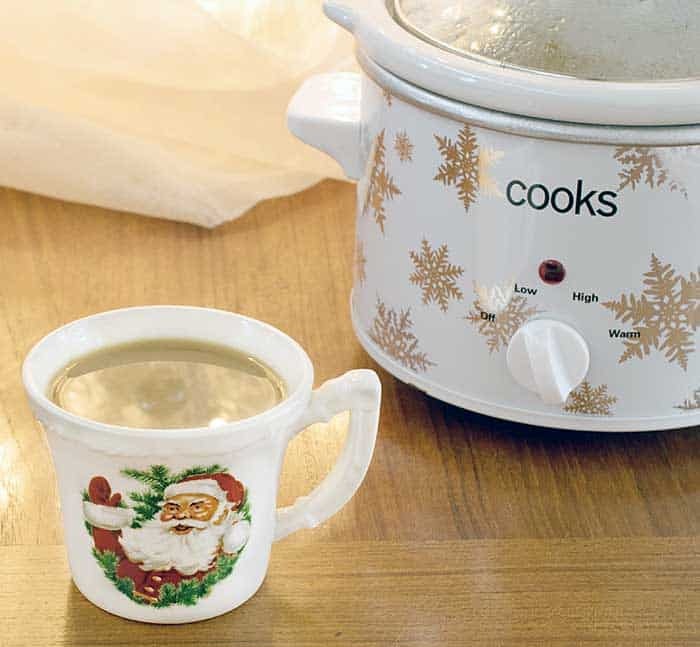 Actually not sure what I love more – the recipe or the precious Santa cup! Looking forward to this one! Ooo…this sounds super tasty! I’ll have to give this a go!